A classical accent for gardens, decks, walkways, patios and many indoor uses. Inspire happiness and good fortune with the 24-inch Hands Up Buddha statue, featuring an elegant patina finish. Made from NuCrete, a fibre reinforced concrete material, this piece is a great accent for gardens, decks, walkways or patios and many indoor uses. 18.5-inch Buddha Statue with solar candle light. An exotic accent for gardens, decks, walkways, patios and many indoor uses. Constructed from NuCrete, a durable fibre reinforced concrete. 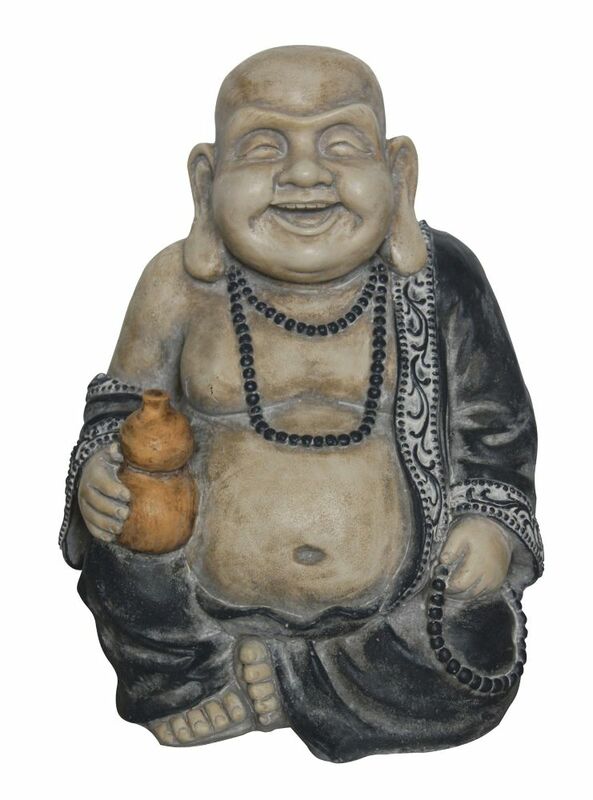 Happy Buddha Statue A classical accent for gardens, decks, walkways, patios and many indoor uses. Happy Buddha Statue is rated 5.0 out of 5 by 1. Rated 5 out of 5 by gailhen from Love this buddha! This is the welcoming buddha at the entrance. Very good greeter, love it!